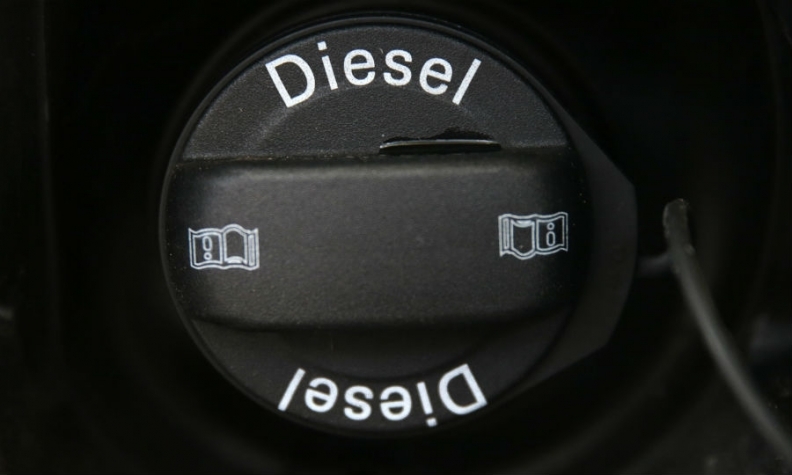 BERLIN -- Germany's Transport Ministry is pushing carmakers to update the engine management software in up to 12 million diesel vehicles in the country, people familiar with the talks told Reuters. The move shows how German lawmakers are flexing their muscles ahead of national elections on Sept. 24, forcing carmakers to reduce polluting nitrogen oxide emissions from diesel engines. The dangers to public health from diesel fumes became a political issue in the wake of revelations in September 2015 that Volkswagen Group had systematically cheated emissions tests to sell cars that produced excessive pollution. Germany's top car manufacturers volunteered a recall of 630,000 cars in April 2016 to fix diesel emissions management software but that failed to reassure regulators and policymakers that pollution levels are under control. Since then several European cities including Stuttgart and Munich have considered banning some diesel vehicles, blaming emissions for causing increased respiratory disease. On Monday, lawmakers upped the pressure in closed-door talks with the auto industry. The ministry is in discussions with German auto industry associations VDA and VDIK as well as representatives from local governments to try and cut nitrogen oxide pollution by about 25 percent, the sources said. It could cost 1.5 billion to 2.5 billion euros ($1.7 billion to $2.8 billion) to update cars and the ministry is demanding that vehicles with engines conforming to the euro-4, euro-5 and euro-6 standards be part of the recall, government sources said. The government has demanded that the auto industry shoulder the costs and is pushing for a solution to be presented before the elections in September.